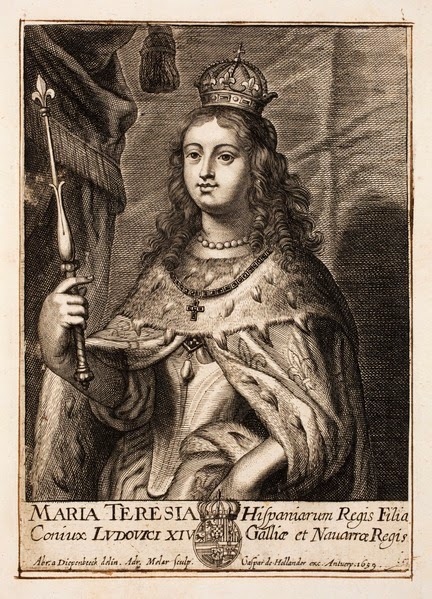 Maria Theresa of Spain, the daughter of King Philip IV, and his wife Elisabeth of France, was born at El Escorial in 1638. Sadly, her mother died when she was only 6, and her father, who adored his daughter, soon remarried. 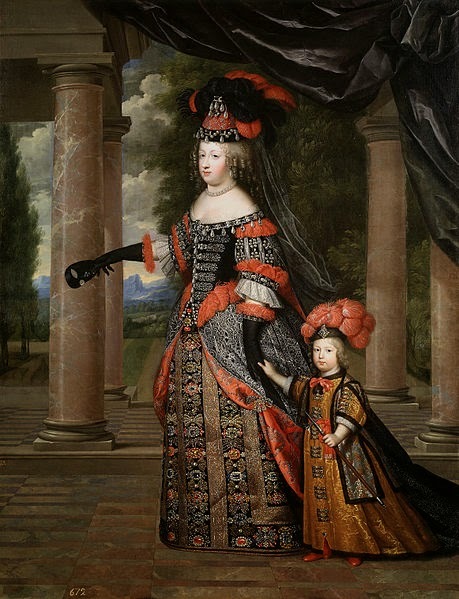 The new queen, Mariana of Austria wasn’t too interested in the little girl and often neglected her. Spain, at the time, was at war with France. But everyone was tiring of it. 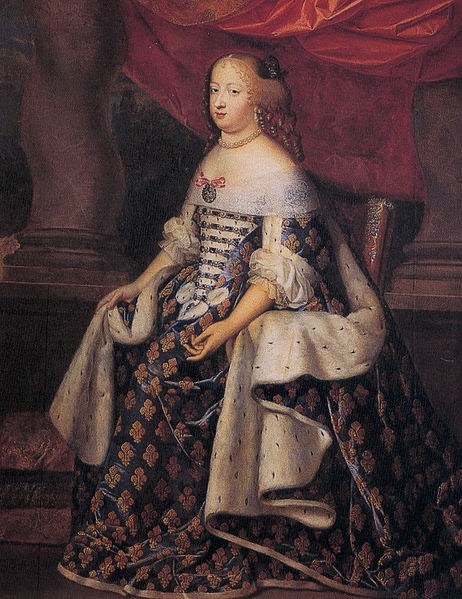 To secure peace, a marriage between Maria Theresa and Louis XIV was suggested. The negations were long, complicated not just by war but by the Spanish law of succession. 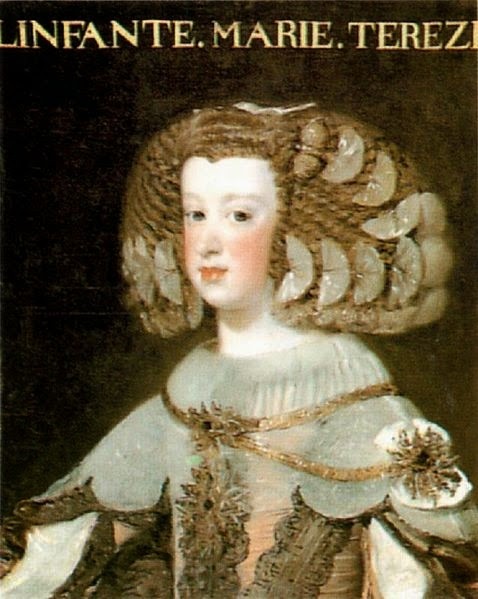 Spanish princesses could inherit the throne too, and Maria Theresa had already been heiress presumptive twice, upon the deaths of her two brothers, Balthasar Charles and Philip Prospero. If her surviving brother, Prince Charles, were to die too, the crowns of Spain and France would be united. The French loved that prospect. The Spanish, afraid they would become subservient to the French, not so much. They insisted on a renunciation clause that would deprive Maria Theresa and her offspring of any rights to the Spanish throne. The French agreed but on one condition. In such an eventuality, to make up for such a loss, Spain would have to pay a large dowry to France. When the moment came, Spain, impoverished by decades of war, was unable to do so. But that’s a story for another post. 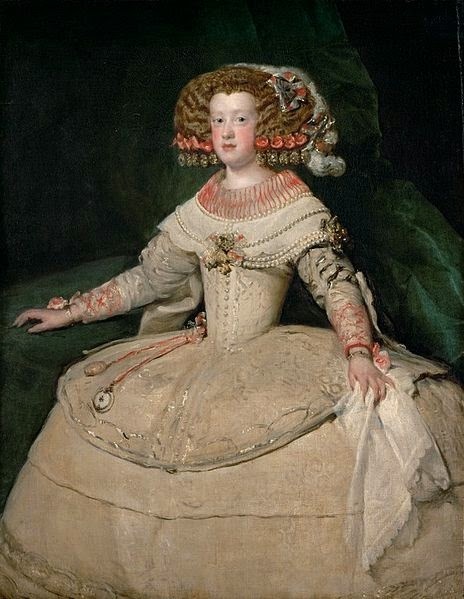 When the negotiations were over, and all matters settled, Maria Theresa left Spain for France. 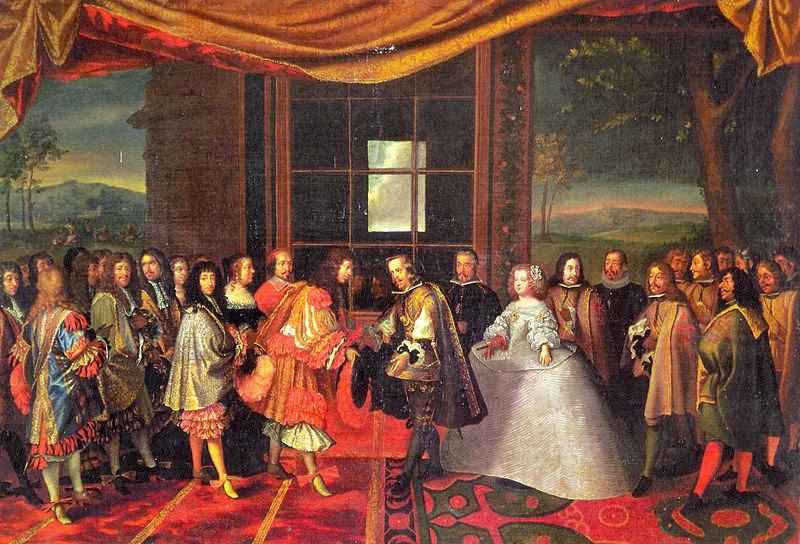 On 9 June 1660, Maria Theresa and Louis XIV were married at the church of Saint Jean the Baptist in Saint-Jean-de-Luz. At first all was well between the couple, but soon Maria Theresa started to put on weight and Louis’ eye to wander. He had many affairs, and in 1661, installed Louise de La Vallerie as his first official mistress. The Queen was very hurt by it. Virtuous and pious, she started to withdraw more and more from court, and spend more time with her circles of dwarfs, the traditional attendants to a Spanish infanta (besides, her ladies-in-waiting could easily catch the King’s eye). She also found comfort in her faith and, when they asked for it, she always forgave both her husband and her mistresses. 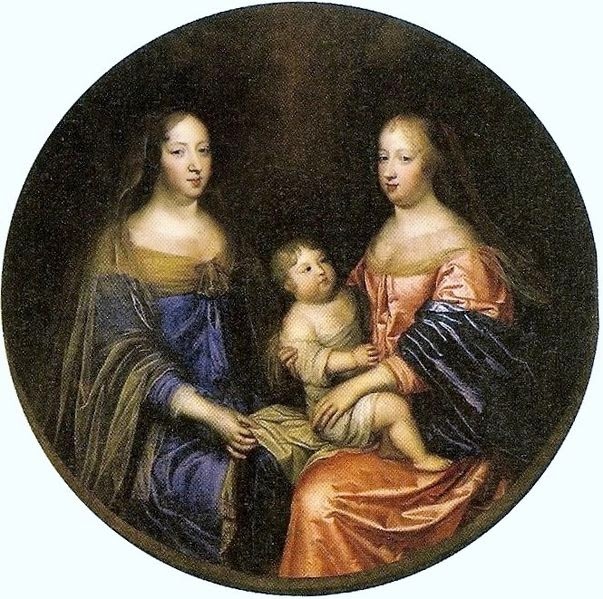 Years later she would even enjoy a friendly relationship with another of Louis’ mistresses, Madame de Maintenon, grateful that she encouraged her lover to pay more attention to her (although the King had never, infidelities aside, treated her with disrespect). Maria Theresa also became close to her mother-in-law, Anne of Austria, and, in her free time, could often be found playing cards and gambling. She had no interest in politics, and played little part in it, only acting as regent for short periods of time when Louis was away on war campaigns. In November 1661, she gave birth to her first child, a son and heir to the Spanish throne. In the following years, she would give her husband five more children. Unfortunately, only her oldest son, Louis, would survive childhood, but not long enough to become king. In 1683, a tumour was discovered under her arm. Soon, the Queen fell gravely ill and, on 30 July, she died. “This is the first trouble which she has given me,” Louis XIV remarked upon her death.